I'm about to run all my data through my new house before the insulation goes in next week, Just a few questions.. I guess its best for the Home distribution box to be fitted in the garage close to where the ETP is? From the ONT and patch panel, should a run Cat 6 in a star configuration to applicable rooms etc? Orbi router and satellite will be in lounge/ dining areas. Does coax need to go back to distribution box as well? or just to Tv locations? Have a read of this thread from the Home Theater forum if you haven't done so already. Yes, Cat6 does need to be run in a star configuration. If you have a central cupboard or similar that you can provide power to that, it is often better to run everything from there, as you end up with a tidier and shorter set of wiring runs. Assuming your garage isn't external and at the other side of a large plot of land I don't see why a central cupboard is better? We have what I understand is the "standard" Dynamic in-wall unit in the garage, which is wired to every room and wired out to the ETP as well. It has worked well and is nice and tidily "out the way" in the garage. I would just suggest get a big enough unit so things don't get squashed, and put enough power (and orientate the sockets so wall-warts can fit) in. Why is a shorter set of wiring runs important? 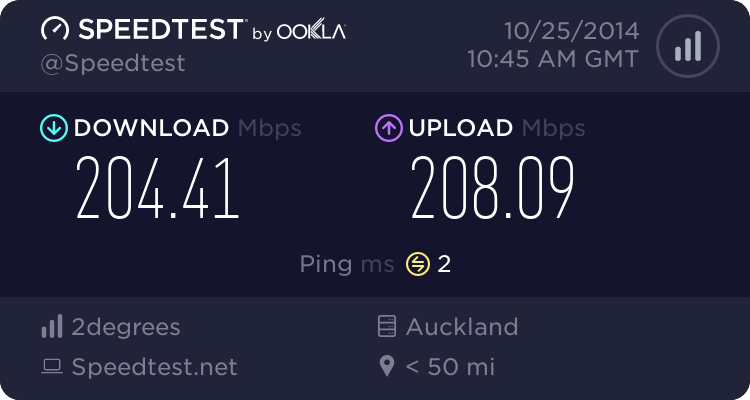 Ethernet cable is cheap and over residential distances not going to notice any speed differences? I have my ONT at the data cabinet in the garage, and my router in the middle of the house (for wireless reasons and it has a nice looking clock on it)... I just use two Cat6 cables - one from the ONT to the router, and one back again to the main switch. There's no issue with number of cables - just choose a bigger cabinet... You can easily use a standard cabinet instead of an inwall cabinet. A nice short cabinet can be placed far enough up the wall in the garage or a cupboard so there's no chance of hitting your head, and you won't regret having more cables instead of less. Always go with a bigger cabinet - nothing worse than turning up to a house that has a bunch of data cables terminated in a tiny square 14" cabinet with no power outlet inside it. At a minimum go for the 28" cabinet if its just data and tv. If you are going to do infrared and telephone, definitely go for the 42" - i recommend these for all new homes now, and have it positioned as high up the wall as possible with nice big holes for pushing more cables down from the attic.